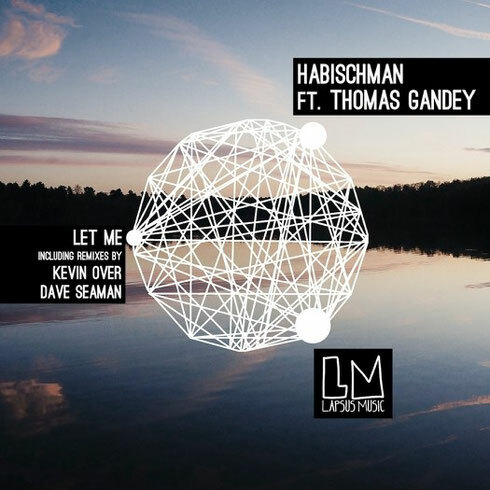 With recent releases on Selador, Noir, Suara, Hive Audio, Tulipa and Sullivan Room, Dave Seaman’s next creative outing is two remixes of ‘Let Me’, the forthcoming single by Habischman Ft. Thomas Gandey, on Supernova's Lapsus Music label. Born in January 2009 from the mind of the Italian duo Supernova, Lapsus Music has been created with the aim of releasing high quality electronic music without restrictions and focused on discovering new talent. The label’s next release sees Iranian producer Habischman team up with the vocals of Thomas Gandey to create the dark a ‘Let Me’. To compliment the already original mix Supernova wanted to add the skills of two remixers to the package and welcomed onto the label Dave Seaman and Kevin Over. Both of them have reworked the track with their own style. Dave has been a globally respected DJ for over 25 years and having played in over 80 countries around the world, he remains an artist who is always looking to the future. Here, his vocal and instrumental remixes of show exactly why he’s still at the top of his game.